Ford cars have always been iconic and give a premium feeling over its ride. Ford motor has showcased its upcoming much awaited Ford EcoSport in the Auto Expo 2012 held at Delhi this year. Since then the car is coming again and again in the news. The car comes under the compact SUV segment which has a wide market scope in the markets like that of India. Ford has launched many cars before but there is something very special about this car which makes it to come under the most popular Ford cars. It’s being launched in Brazillian market on14th July, 2012. The car has a brand new design which looks stylish and elegant. In his recent interview Ford India MD, Michael Boneham stated that the car will be manufactured in India with 80 percent of the raw material being used from India only. Other cars of Ford like Ford Figo and Ford Classic will also have reported for their 80 percent raw material content from India. Ford India has future plans to manufacture the car and export it to the International markets from India. Ford India is currently manufacturing cars in its plant at Maraimalai Nagar and has seconadary manufacturing unit at Sanand in Gujarat. 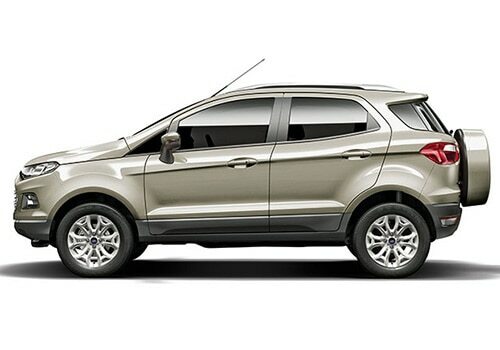 Ford India has made commitment that by 2015 the company will be bringing 8 new cars in the Indian market. The Ford EcoSport car is expected to get launch with automatic transmission system and being equipped by the award winning Eco Boost engine to provide high fuel efficiency without compromising with the performance. Ford EcoSport pictures are gaining popularity day by day over many social networking sites which show the consumers interest for the upcoming Ford cars. The car has a totally new looks which are compact and stylish. The car is a 5 seater mini SUV just like the Renault’s latest launch Renault Duster. The car is designed on the Ford Fiesta B platform. The base variant of the car will be equipped with a new 1.0 litre ecoboost 3 cylinder petrol engine that will generate maximum power of 120 PS and peak torque of 170 Nm at just 1500 rpm. The car will also be equipped with other features like steering mounted controls, power steering, Tachometer, ABS (Anti Braking System), EBD (Electronic Brakeforce Distribution), air bags, etc. The Ford Ecosport price in the Indian market will be in the range of Rs 7, 00, 000 to Rs 9, 00, 000. Also, Ford Ecosport launch was expected to be in the last quarter of this year only but now it is being postponed to February, 2013. Ford India launched facelift version Ford Figo at just Rs. 3.85 lakh.